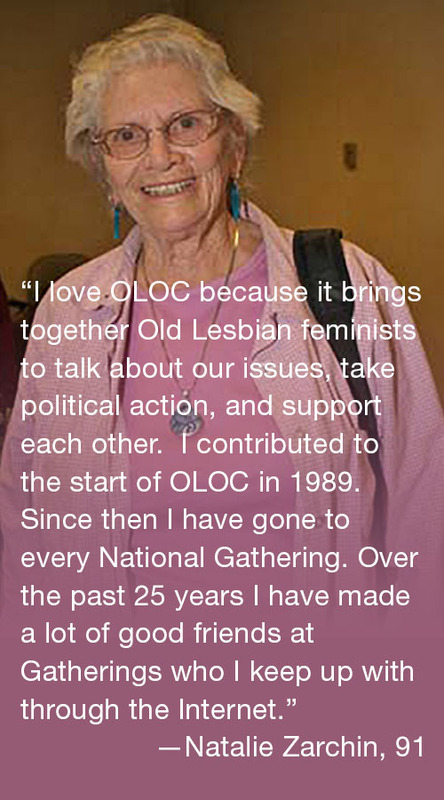 National OLOC welcomes as members Old Lesbians who have reached their 60th year. OLOC is a nonprofit 501 (c)(3) tax-exempt organization. 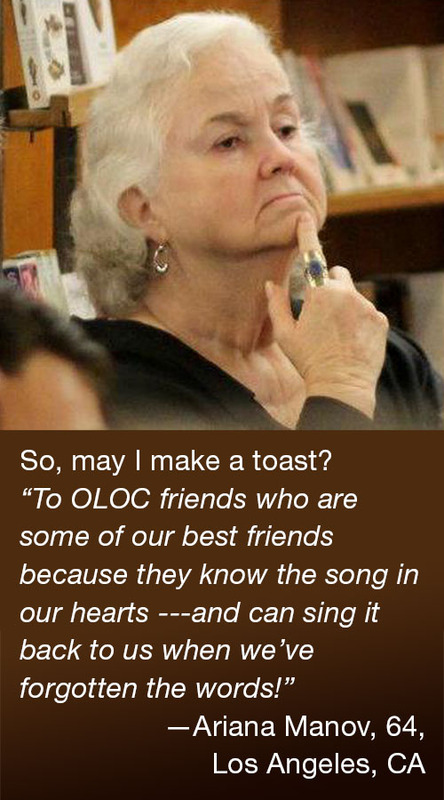 Sign up to be a member or supporter of OLOC. 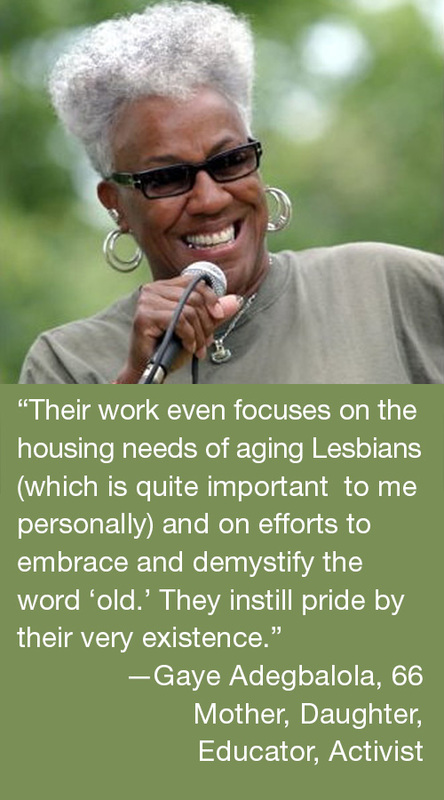 Members are Lesbians who have reached their 60th year or older. Everyone else is a supporter. 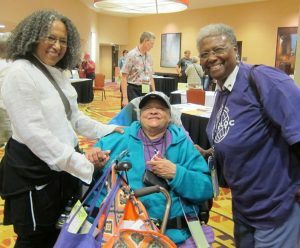 If you would like to join us in our common struggle to fight ageism, to share mutual interests, and to experience the joy and warmth of playing and working together, start by joining as a member or supporter and reading The Reporter. 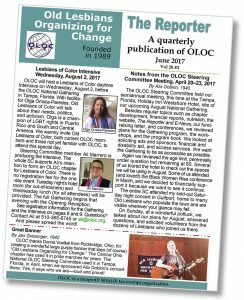 You can request a sample issue of the newsletter from OLOC by writing to us at the address below, or by sending an email to info@oloc.org. All members and supporters receive our publications at no extra cost beyond what you choose to donate. We have suggested donations on a sliding scale on our member/supporter form. If you are unable to pay anything, you may still receive one or both of our two newsletters if you want them – just fill out the form and send it in! For a copy of the membership/supporter form, download OLOC Membership/Supporter Form. Send form along with your donation to the address below or you can pay by using PayPal. Additional donations are welcome and all are tax-deductible for those who itemize. Print out a copy of the OLOC Membership/Supporter Form and mail, fax, or send by email to our address below. If email, use “Membership” or “Support” in the subject line. Pay by check to the post office box or pay with the PayPal account using a credit card by clicking the PayPal Donate button and following instructions. Be sure to indicate that the money you are sending is for membership or support. It is important that you send the membership form to us along with a check or credit card information. Donate by a PayPal account or a credit card. PLEASE NOTE: you do not have to have a PayPal account to use your credit card with this Donate button. If you are a couple and want both members’ or supporters’ names included in our records, please put both names in the “Purpose” or “What is this for?” or “Add Special Instructions to the Seller” section. PayPal will only use one in their records. On some devices, “What is this for?” will only come up after you have filled in the amount. Using PayPal is quick, secure, and much appreciated. Another option is to phone Ruth Debra at 760-318-6794 and ask to pay with a credit card over the phone. If you can’t reach her, email ruth@oloc.org to set up a time to talk. If it’s a hardship for you to pay for the call, use the OLOC toll-free number (888-706-7506) and leave a message with your phone number. There is no caller ID on the 888 number so you must speak the number. Susan will ask Ruth to phone you back. Donations are fully tax-deductible if you itemize. 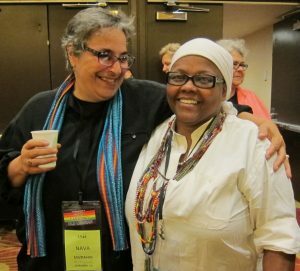 Workshop Proposals for 2019 National Gathering. Donate by PayPal or credit card. PLEASE NOTE: you do not need a PayPal account to use your credit card with this Donate button. Using PayPal is quick, secure, and much appreciated. Thank you so much for your support. Members and supporters receive all publications. For a sample copy of the OLOC quarterly newsletter, email info@oloc.org. More information about joining or supporting OLOC is available at Join/Support and Benefits of Membership/Support. We welcome constructive feedback and suggestions from members by way of mail, phone, or email. Please let us know if you want a response.